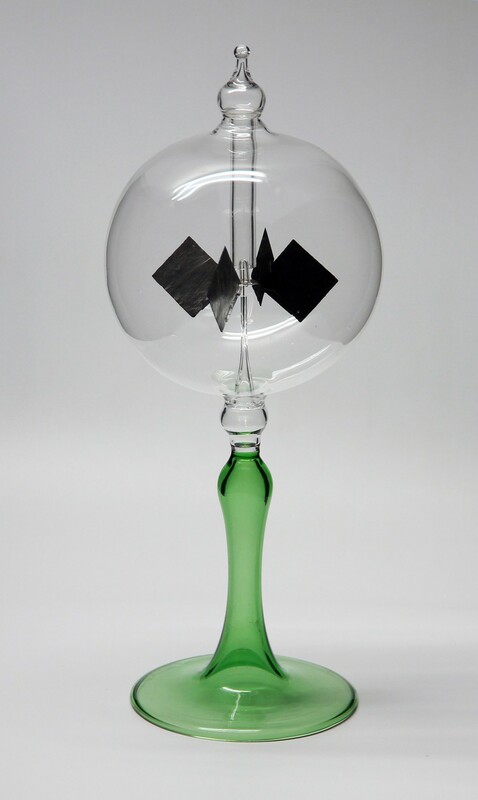 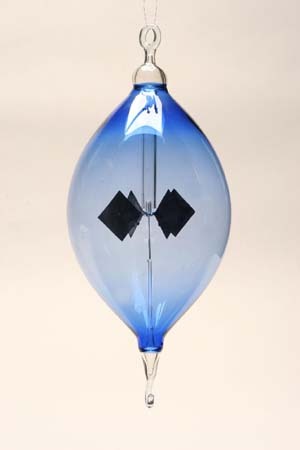 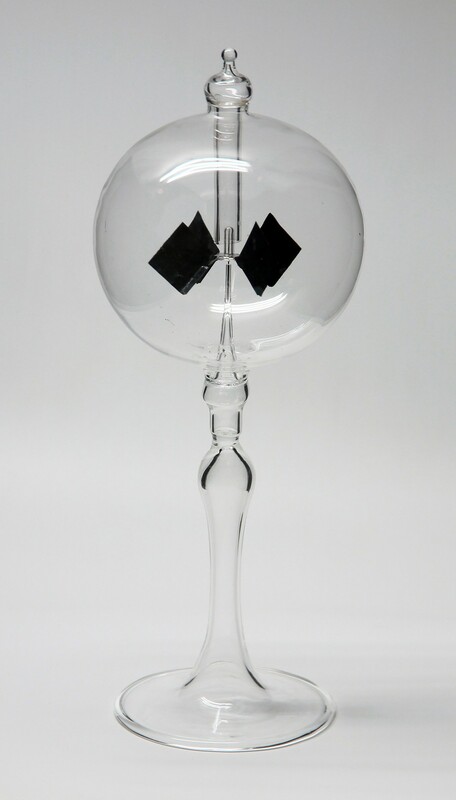 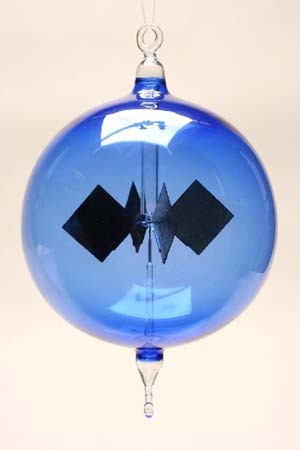 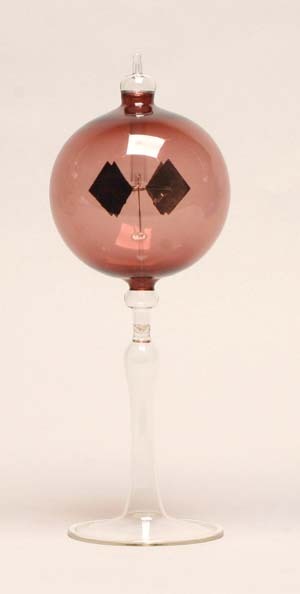 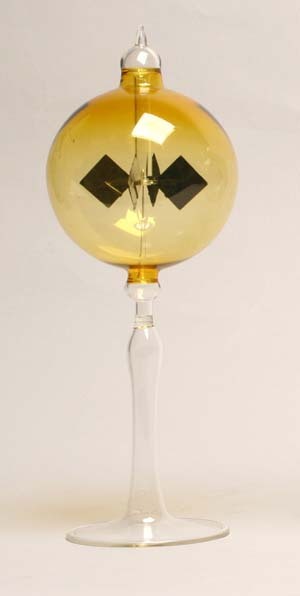 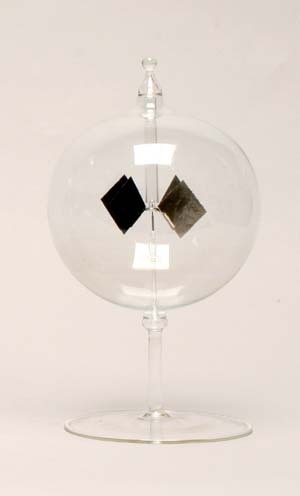 The radiometer, also known as a light windmill, is a instructive physical object for demonstrating a theory, which was invented by the English physicist Sir William Crooke in 1873. 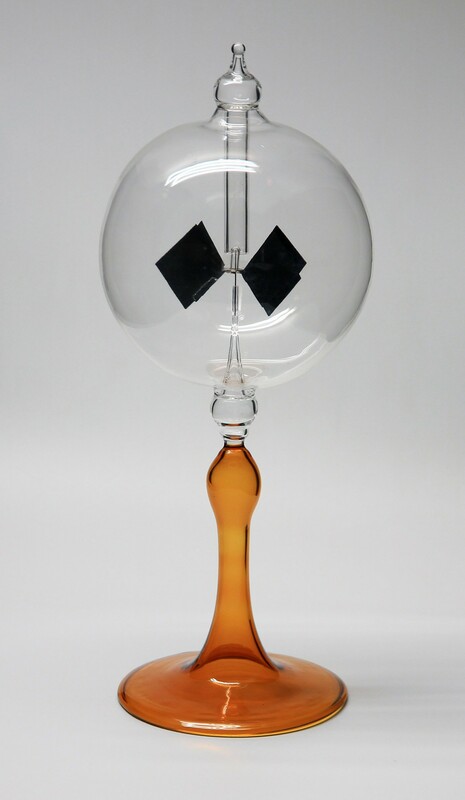 This small physical and technical miracle shows in a simple way how the “smallest sun power plant in the world” converts light into energy. 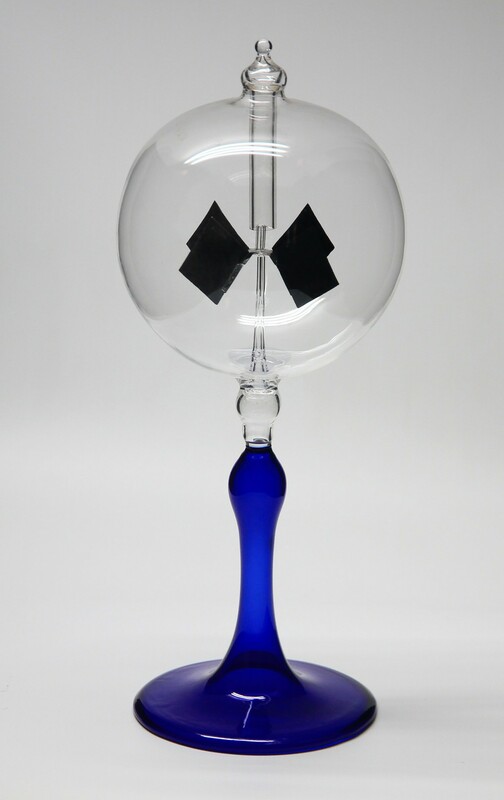 Depending on the power of the light, a rotation of approximately 2’000 revolutions per minute can be reached by the radiometer.